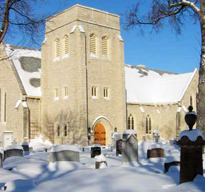 The University of Manitoba’s Bison Men’s Chorus, along with the “Gallery Minstrels’, is delighted to present their annual Christmas Concert at St. John’s Cathedral, Sunday, December 8, at 3:00 p.m. Admission is free; however, an offering will be taken during the concert with the proceeds donated to charity. This past Sunday, we celebrated the beginning of Advent, a time for us to expectantly wait for the coming of Christ. The first candle of our Advent wreath was lit. As the flame of hope begins to burn, let the promise of the ages shine in our hearts as the great star shone so long ago in Bethlehem. Let us listen, O God, for your Spirit in the silence (Silence is kept here). let your star of Hope lead us to the place where the Christ would be born today. Amen.